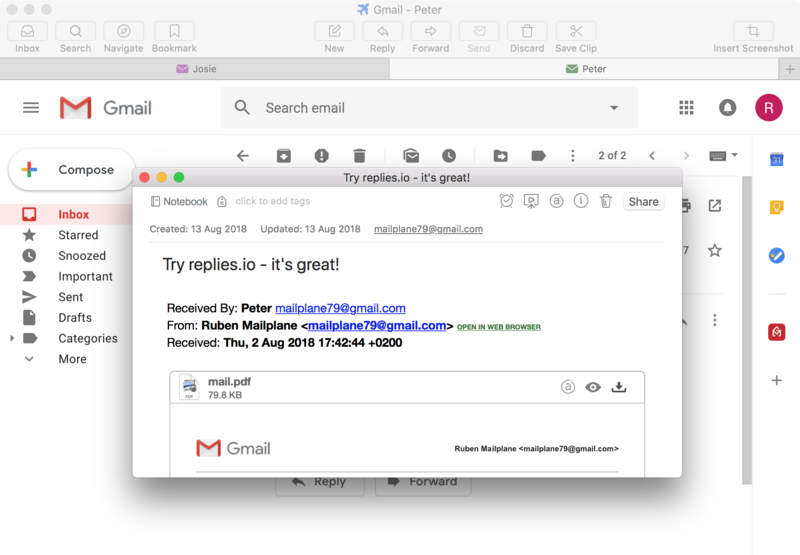 Mailplane - Mailplane 4 has landed! 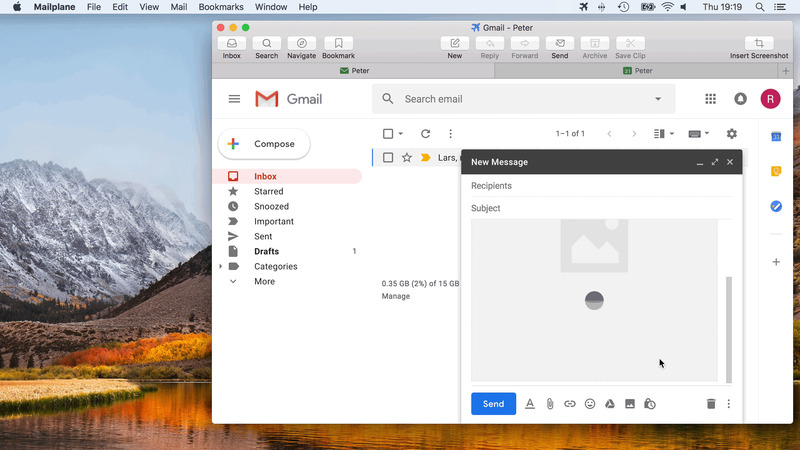 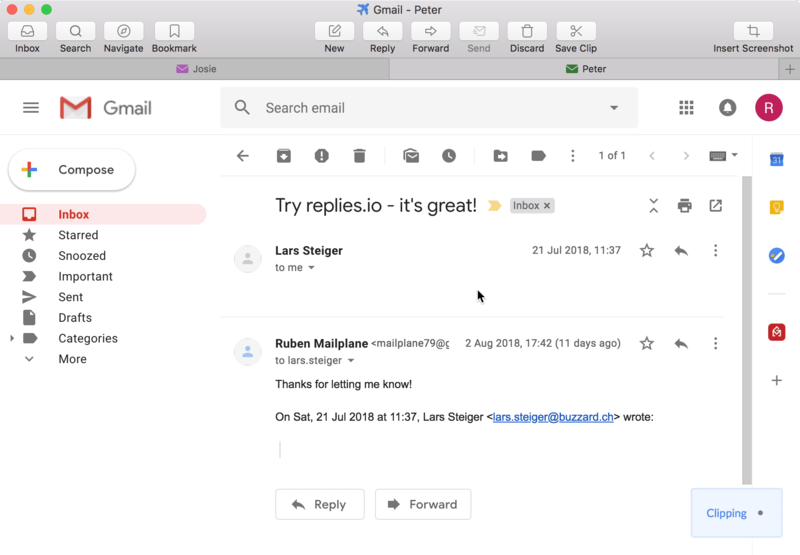 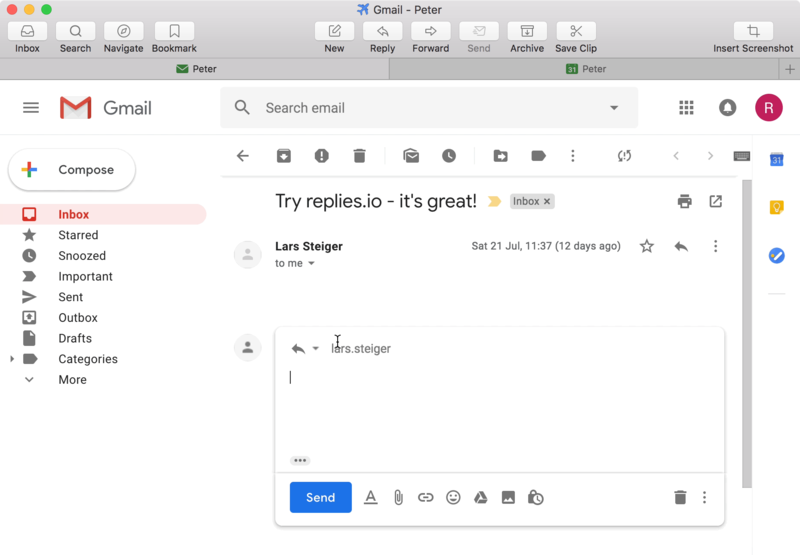 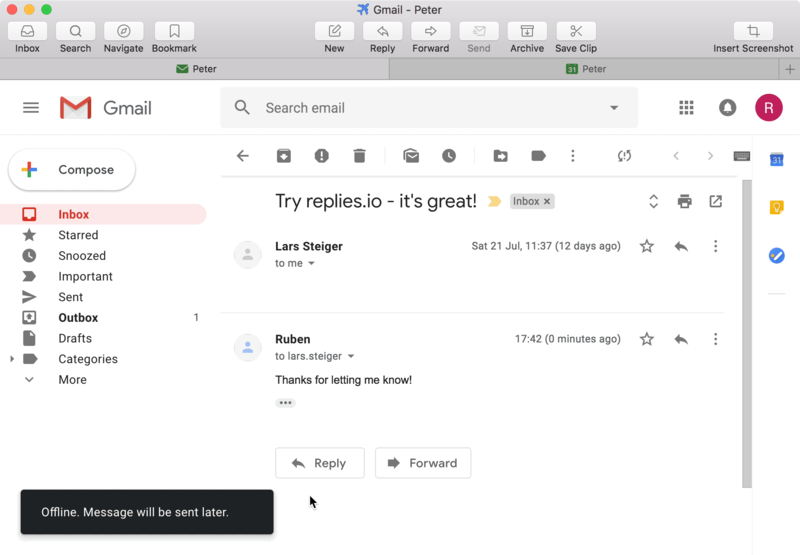 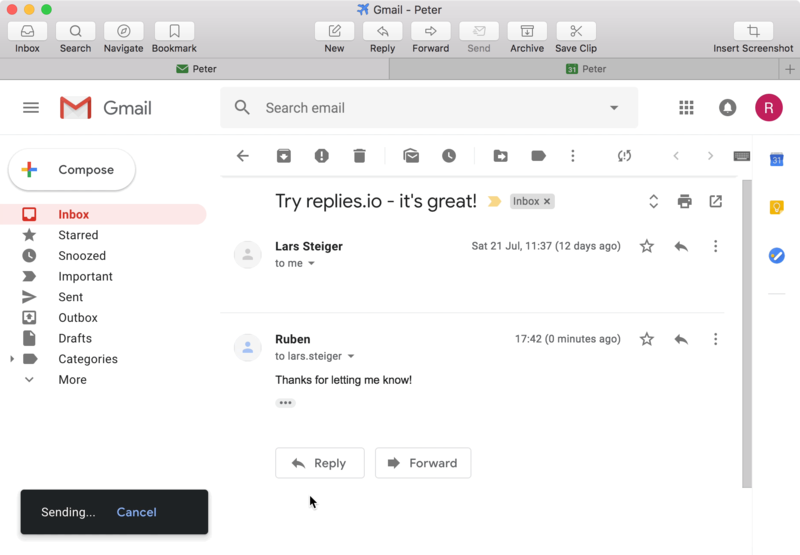 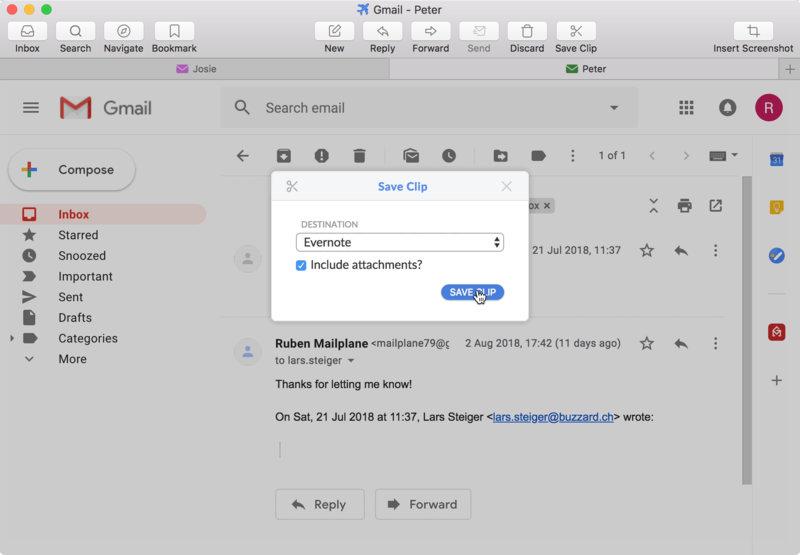 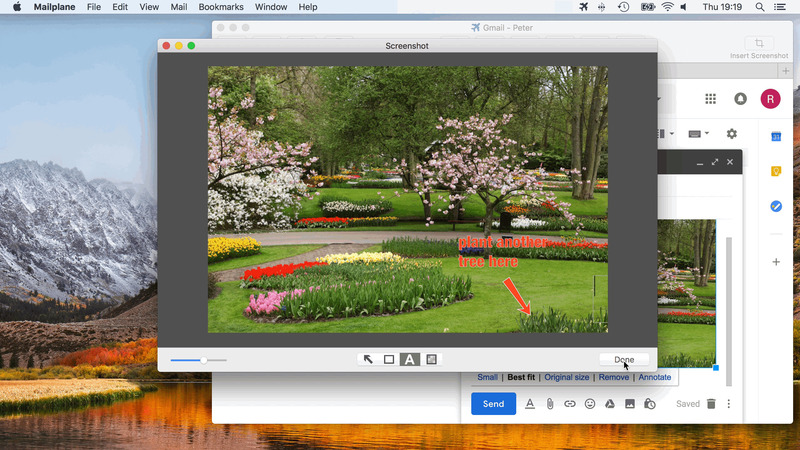 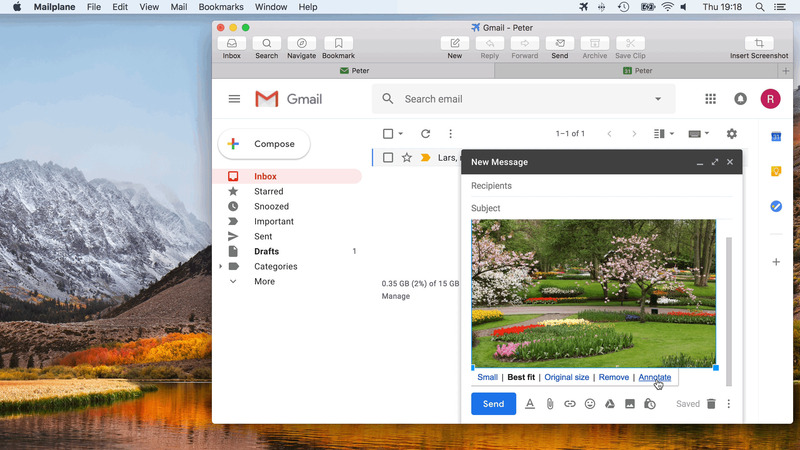 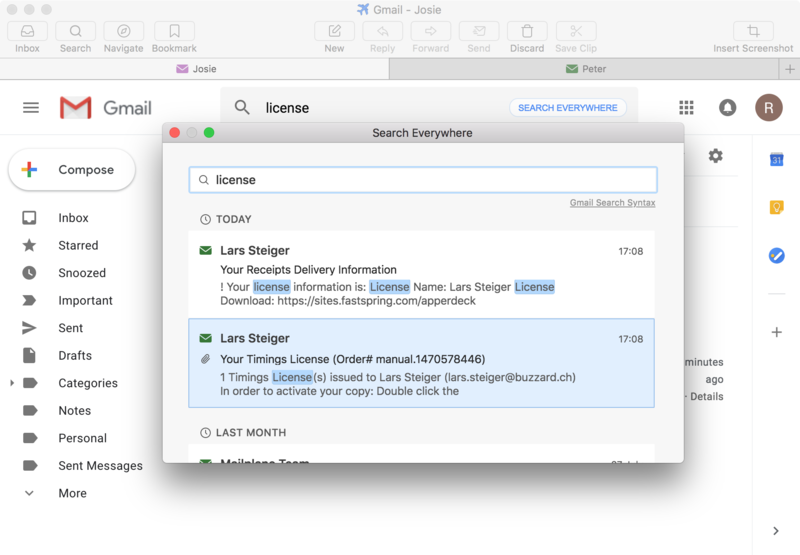 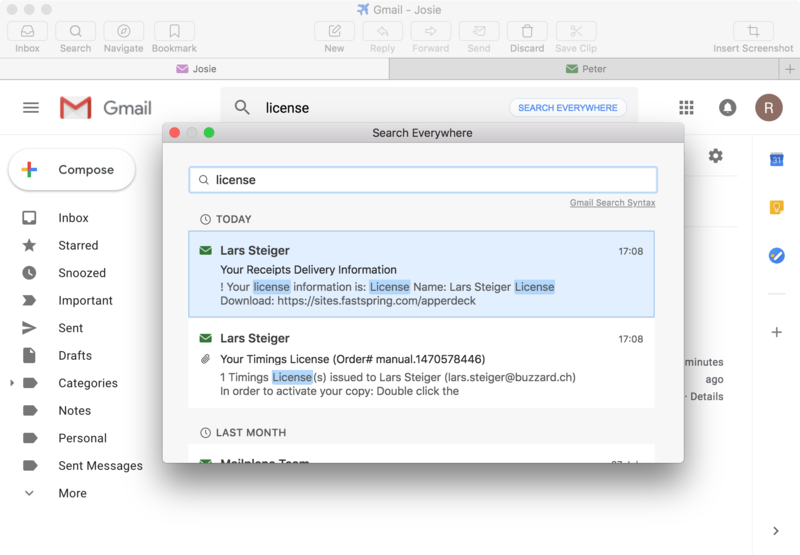 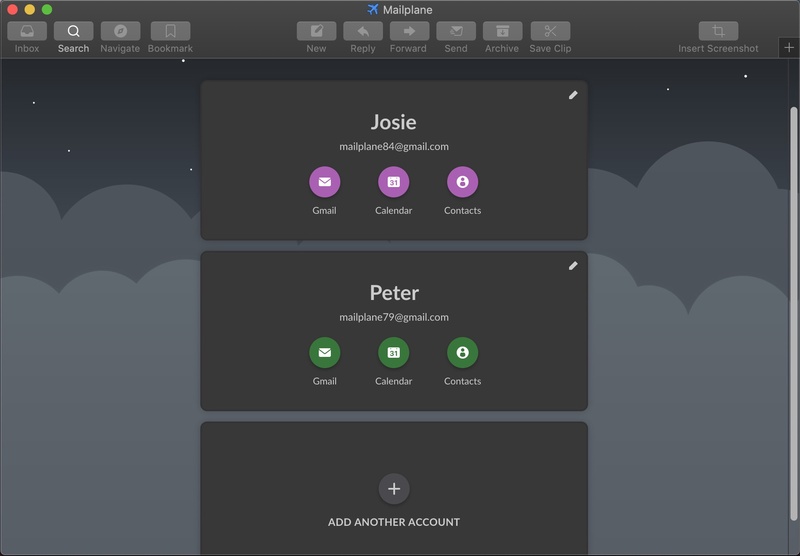 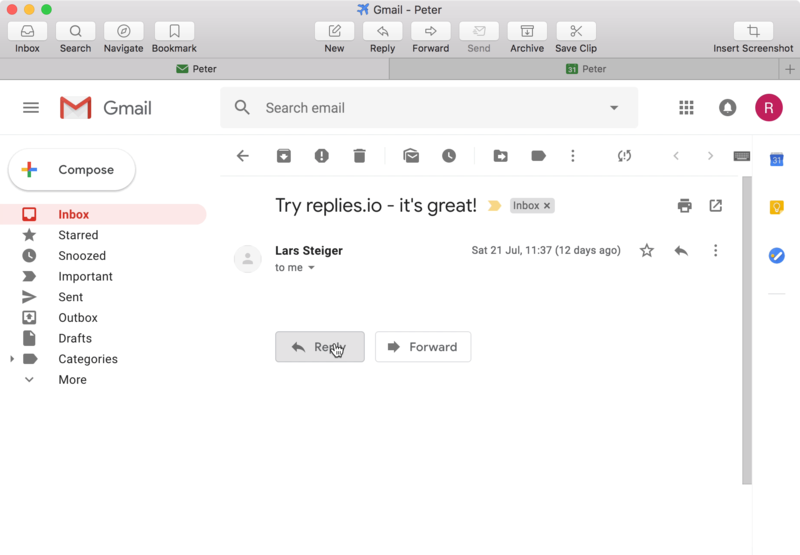 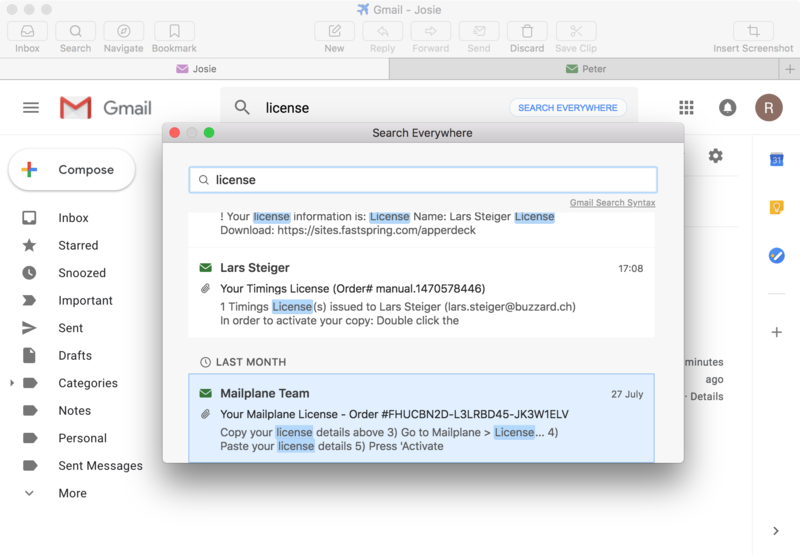 What's new in Mailplane 4? 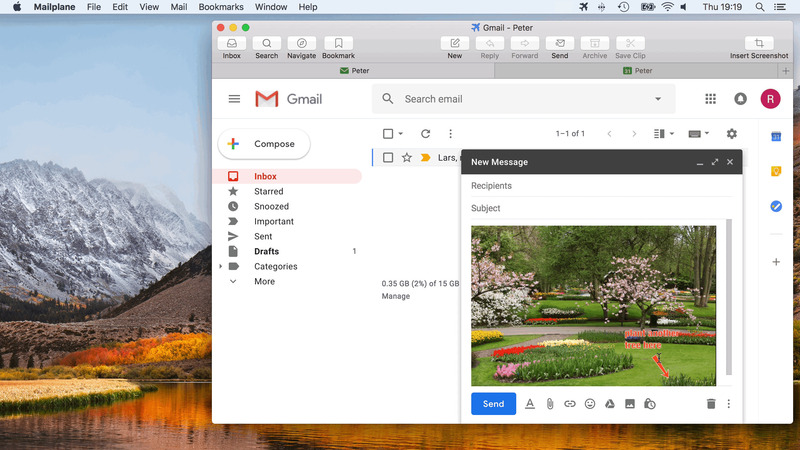 It is packed with new features and looks better than ever. Archive a message or write a quick reply directly from a new email notification. Search for messages across all your Gmail accounts. Mailplane looks gorgeous in Dark Mode on macOS Mojave. 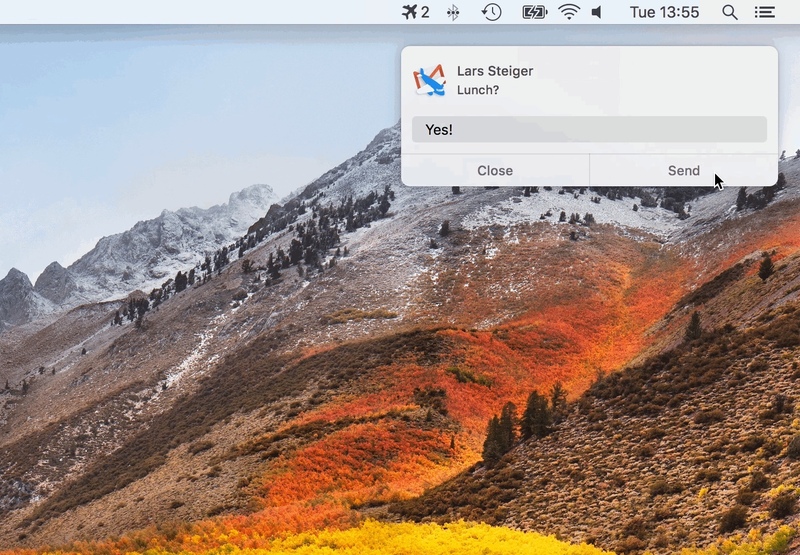 Plus it automatically adapts Gmail, Calendar, Contacts. Of course this can be turned off if you don't like it. 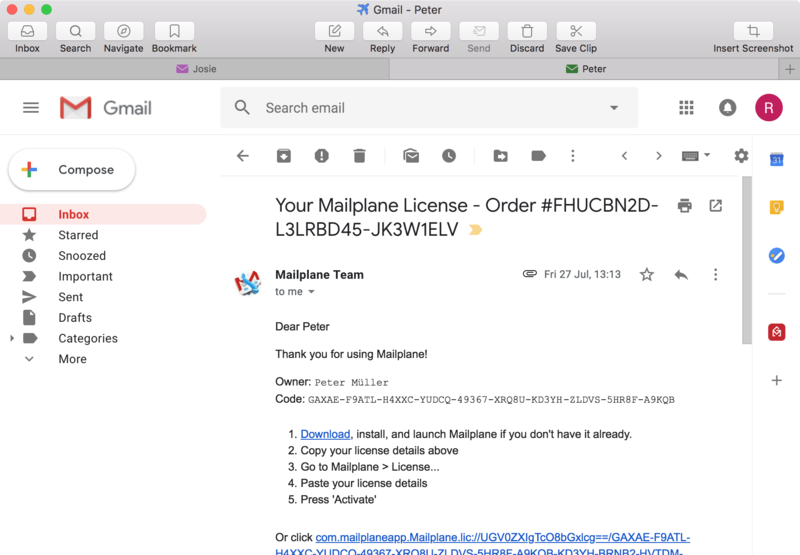 Use Mailplane in an airplane! 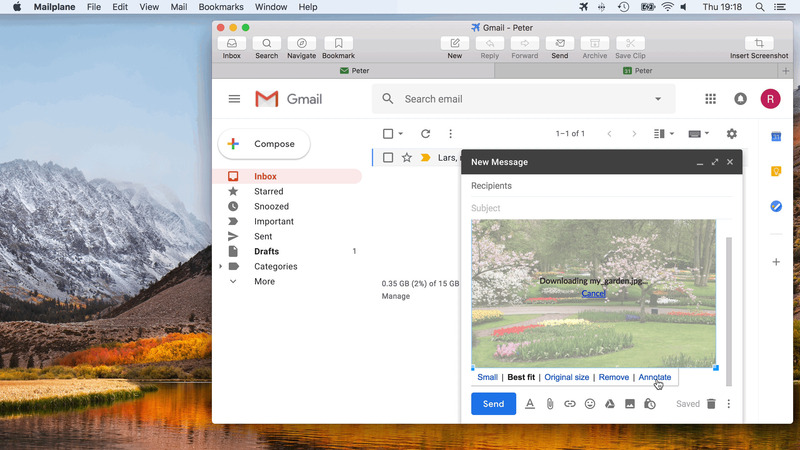 – with Gmail's brand-new offline mode. 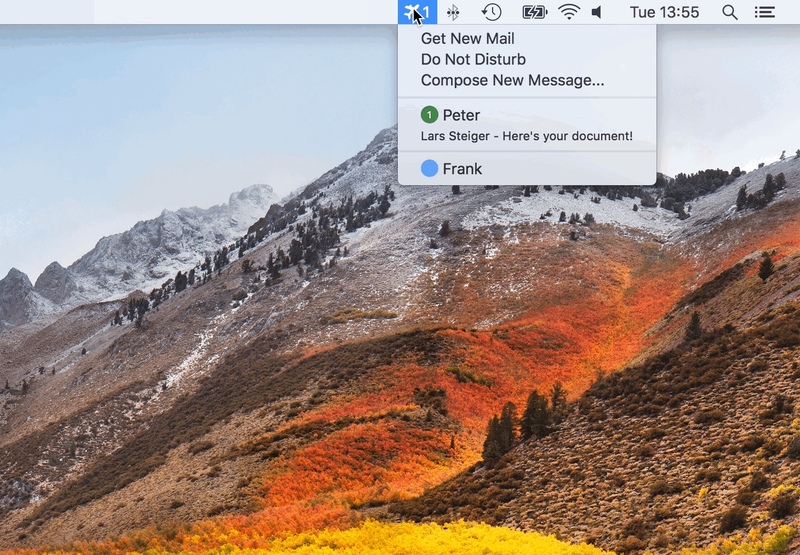 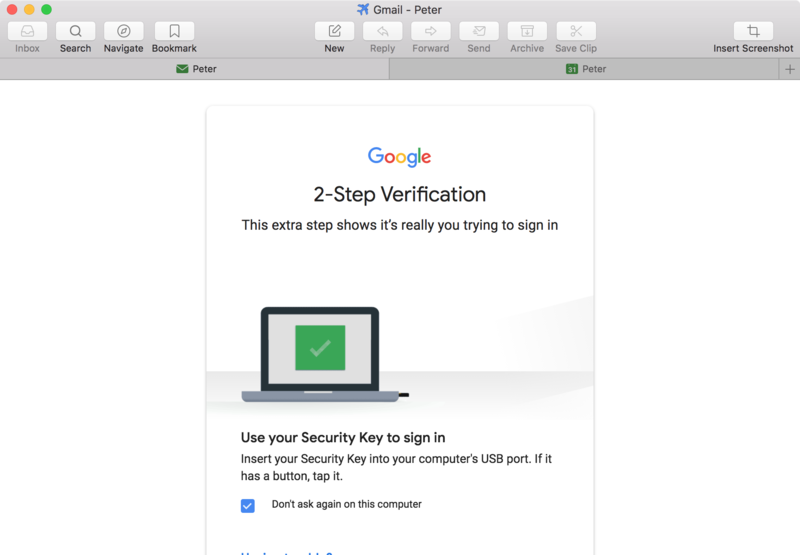 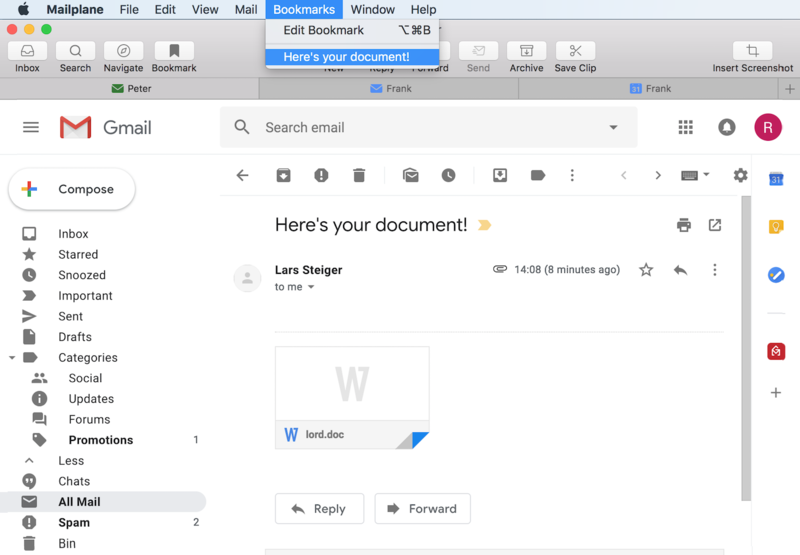 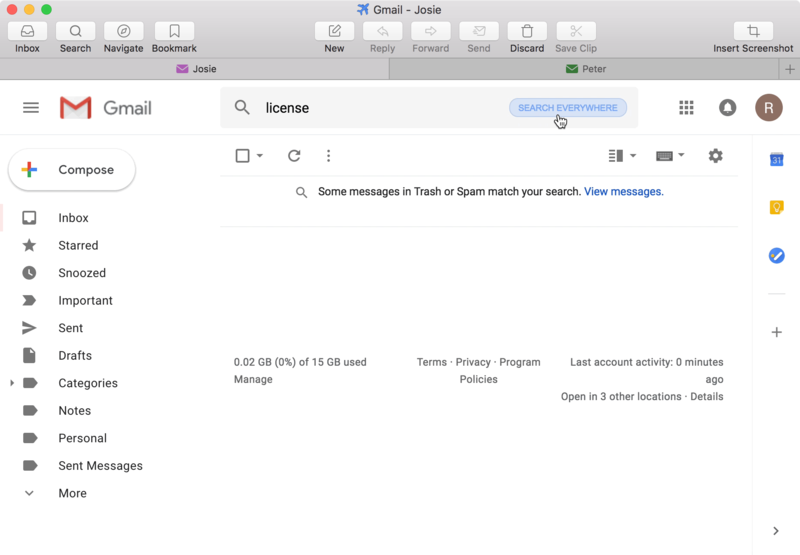 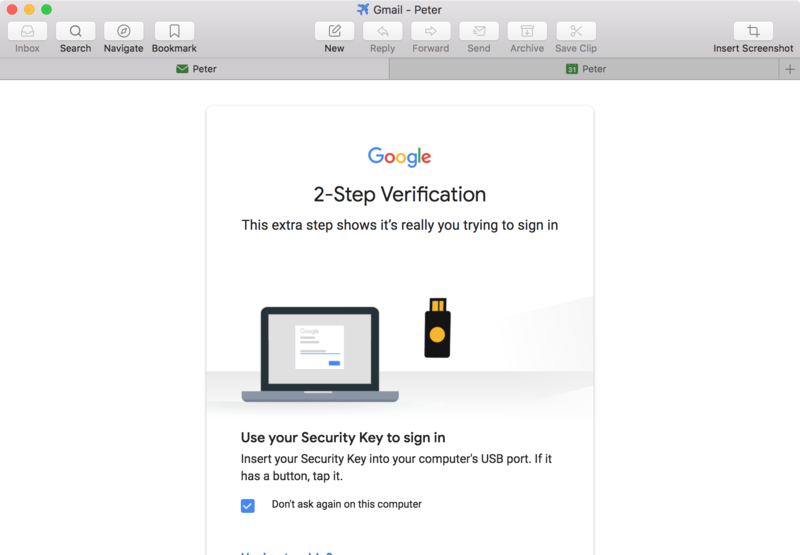 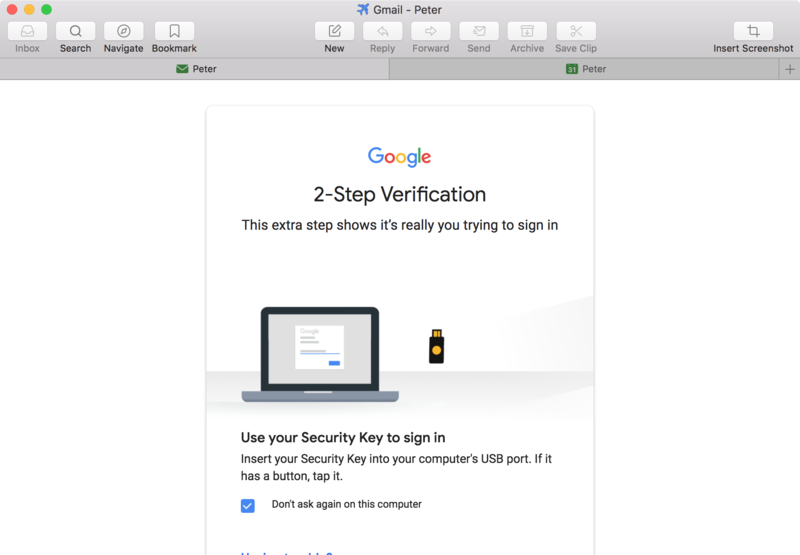 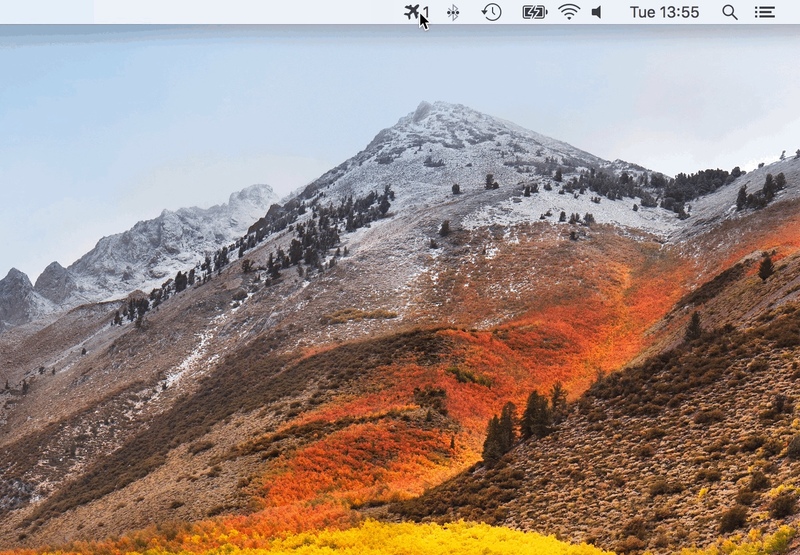 Open Gmail attachments directly in your macOS app without filling up your downloads folder. 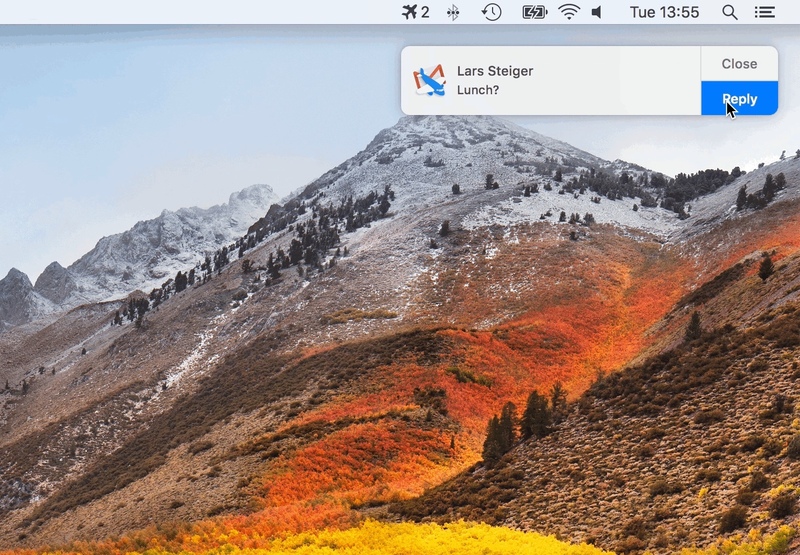 Bookmark frequently used searches and email conversations. 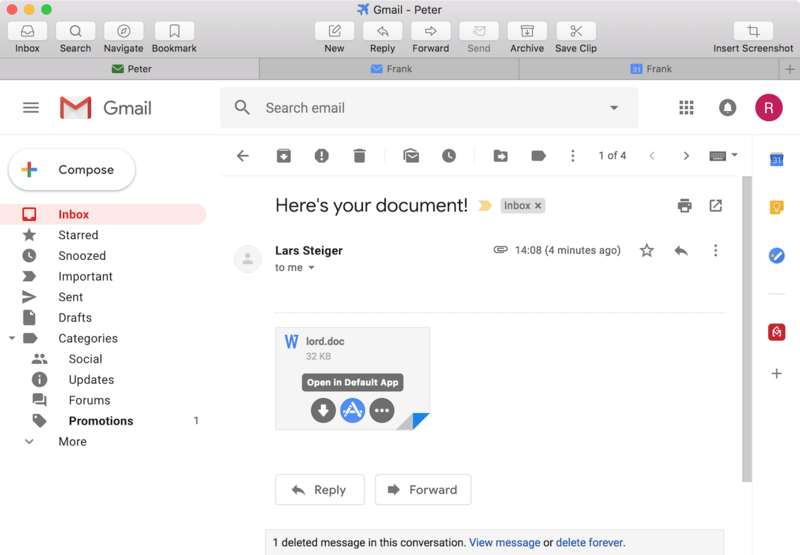 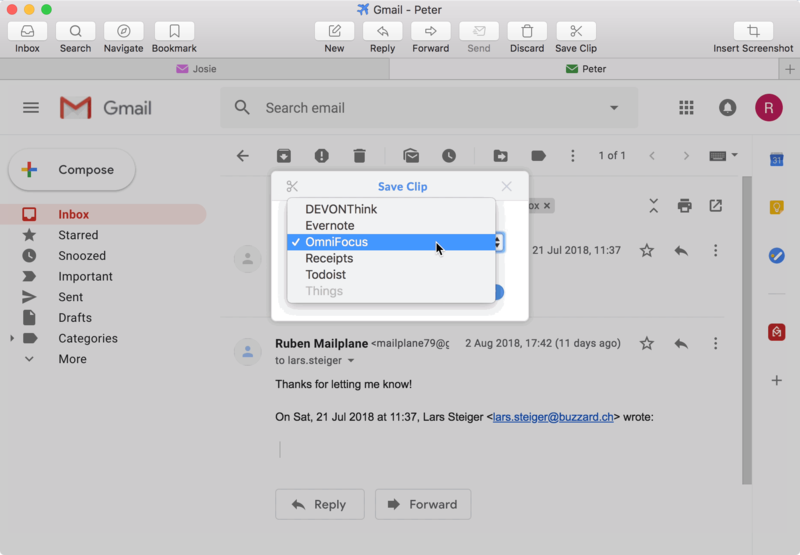 Clip entire email conversations, including attachments and images, into Evernote, DEVONthink, OmniFocus, Receipts, Todoist and Things. 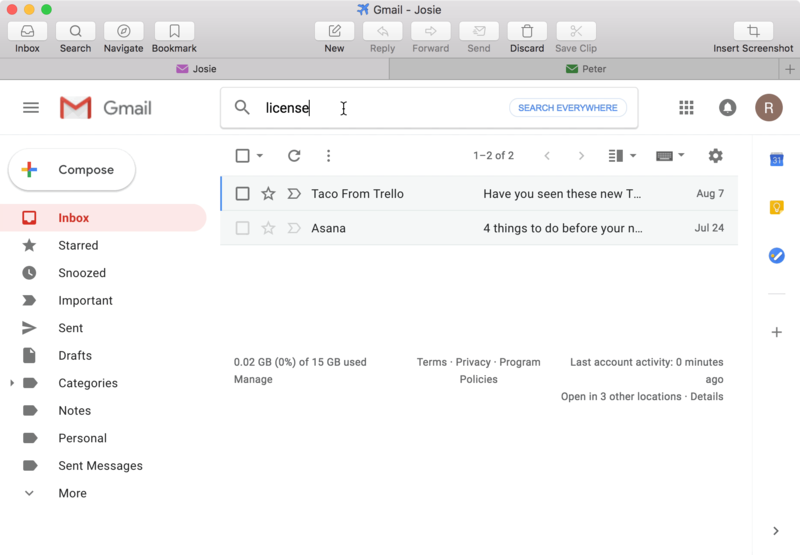 Free trial for 15 days.